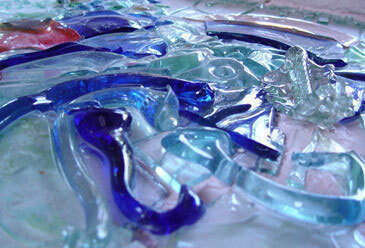 Fusing is the melting of glass of various colors and shapes in a special furnace at about 800 degrees Celsius. Here, the glass softens to a degree that individual parts permanently get connected. 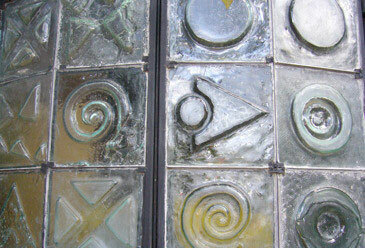 Slumping is the heating of glass to the melting point. the crushed glass to flow into the molds.